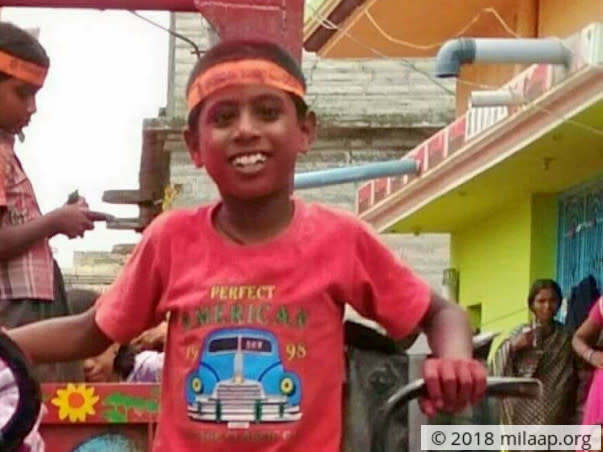 Jithendra suffered from Jaundice when he was 2-years-old. 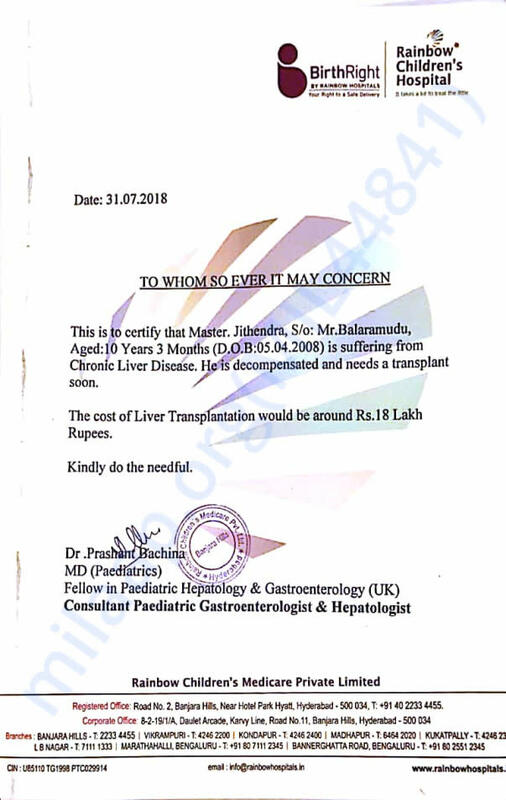 Soon, he was diagnosed with a liver disease. 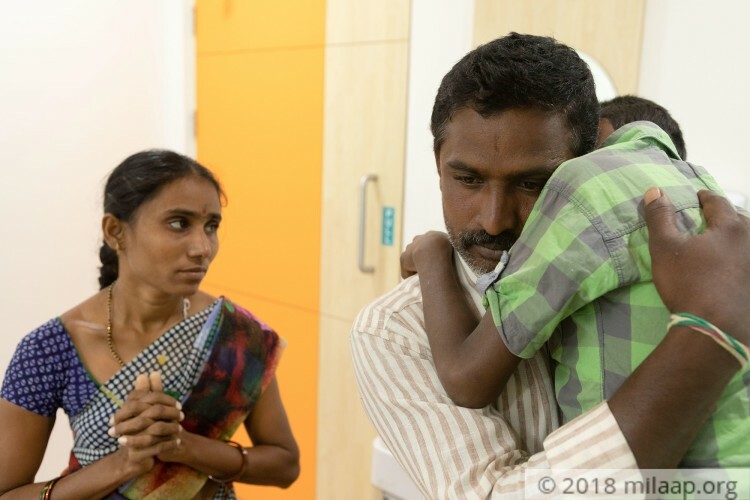 Without money for the transplant, Shakunthala and her husband had to continue the medication for their son until recently when Jithendra started to bleed profusely from the nose. He also suffers muscle loss, making him extremely weak. “He gets scared when he sees blood. He lies on my lap and closes his eyes. I feel terrible that as a mother I cannot do anything to take away his pain”- Shakunthala. 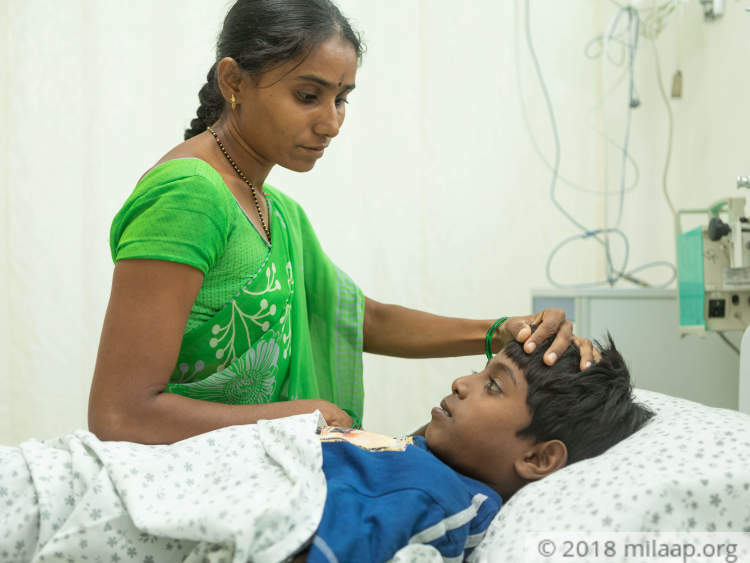 Jithendra’s parents sold their small farmland to save Jithendra’s life but it was not enough. When the family was looking for ways to gather funds, they lost their second daughter who was just 3 years old. Jithendra is very scared. He is in a lot of pain and in extreme weakness. 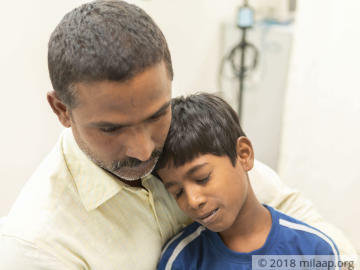 He is confused about why his parents are not doing anything to stop his pain. He waits for help, wishing he could be home. He never had a life outside hospitals and he waits without knowing that he is slowly dying. 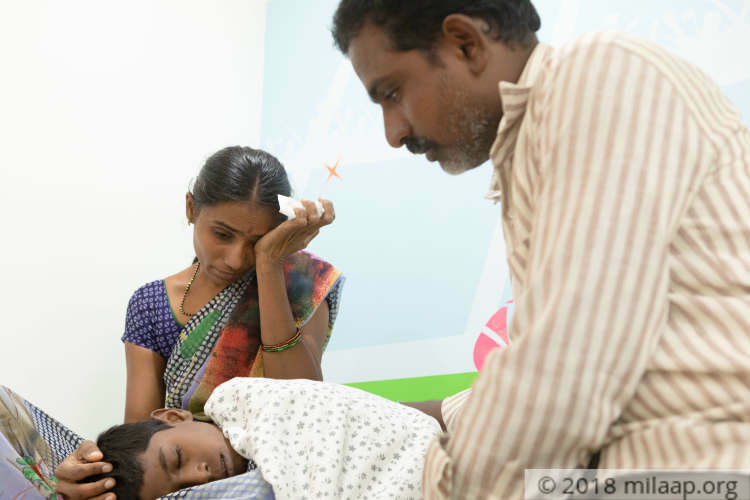 Jithendra bleeds profusely from his nose as his condition is deteriorating every day. His poor parents cannot save him without help and they require it now. With our help, this little boy can be saved. His parents are struggling without help for transplant that can save their son's life.